If you're trying to sell something that lots of other people are also trying to sell, you're facing competition two ways. First, it's going to be a lot harder to get noticed on the search engines, and second, the competition is going to eat away at the profits it's that simple. Promoting your site can be some what difficult when you are just starting. It takes a bit of effort, thought, and a fair amount of patience. It is crucial to understand that site promotion is a long-term, low-intensity effort. So don't be overwhelmed by all the tutorials and tips on this site; you don't have to do all of it overnight. The No.1 mistake many people make is rushing! Take your time, slow down, read the articles carefully and think about how they apply to your website, then you can proceed! 1. If you're selling something, make sure you're selling the right thing. The internet is a great tool for selling things, but there's a big gotcha. The real secret to making money online is to sell something that nobody else is selling. Even if the market is tiny and obscure, if you're the only maker, the internet will bring you and your customers together. If you sell cowboy boots, you might have problems getting noticed, but if you specialize in cowboy boots for people with long feet, you'll then should make money. Furthermore, if you're trying to make money with an affiliate program, in particular those that automatically generate a "virtual" website for you, you should know that in almost all cases, it may be a waste of time, resources and money. I have read many times about people who have wasted hundreds of dollars on these schemes. Please do not be one of them. Google usually considers many of these pages to be spam, but I think in a lot of cases, that's a spelling error; the correct spelling is scam. 2. Get your site working properly. It doesn't matter how many people you attract to your website if, once they get there, they immediately get turned off by an unattractive presentation or a half-built website. I assume you are already happy Like Me, with how your site looks, but you may want to read my article on Basics of a website, which contains a list of website mistakes you should try to avoid. At the same time, you don't have to get too fancy; simple, straightforward sites work fine, you don't need to pay a web-designer to develop a site that's incredibly fancy. 3. Choose keywords and tweak your site for the search engines Regularly. Once your site looks good to humans, the next step is to try to make it look good to the search engines, so you get the high rankings. This involves choosing the right keywords and adjusting your page title, meta tags and first paragraph to showcase them. This is where most webmasters sometimes Fumble and screw up. They choose the wrong keywords because they don't spend enough time thinking about how people are going to try to find them. My article on search engine optimization can help you step-by-step through this process. 4. Submit to the major search engines. Now that your site is all ready, you next submit to all the major search engines. In recent years, auto submission has become less useful because the some important search engines no longer permit it. Google held out the longest, and disabled automatic submission back in 2012. But you can ping them to crawl your site later, Also the Last time they Updated Page Rank Till Now. So start the long-term process of improving your rankings which is where the real work is these days. Before, it would often take weeks or even months to get listed by a search engine and many new sites or blogs would often get penalized as a spam-prevention technique. Today, it's often faster as sites can sometimes get listed in few days. But in both cases, the lesson is the same: don't worry about short-term changes in your rankings; concentrate on long-term improvements to your site to make it more useful to your visitors in the long-run, the search engines will notice and reward you for being helpful. 5. Submit to the major indexes. While you can automatically submit your site to a lot of places, it does not auto submit to some major index. The reason is that listings in these indexes are sufficiently valuable that a hand-done, optimized submission is worth taking the time to craft. Next to Google, is Bing.com, Yahoo search Ask and Aol are also some of the most important place to have your site listed on the Internet. Once you understand how to craft a proper submission, you'll not only greatly increase your chances of getting in, but you'll get many more hits than you would otherwise. You can make some of these all-important submissions with some sites tools provided here. Writing the site description you submit, is the single most important step you will ever take during site promotion, so spending some extra time on this step is highly recommended. Curiously, even if you decide you shouldn't submit, thinking about what you'd do if you did submit is time well spent, because it will help you refine and boil down a good description of your site. You'll end up using that description over and over, in other submissions, in your meta tags, and in your page copy! 6. Submit to the general indexes. There are many "2nd-tier" indexes that are worth submitting to, though not worth crafting a specially optimized listing for (although the advice in the previous step is still valid). Idearules.Blogspot.com is a site that has some tools that can also auto submit to many of these, and provides manual links to hundreds more (mostly the special-purpose and international/foreign- language ones). Once you've read the search engine submission tool tutorial you'll understand how to do this. You can also look at the list of search engines if you so desire. 7. Consider paying for hits. The good news about listing in the search engines and indexes is that it's free. The bad news is that you don't have much control. 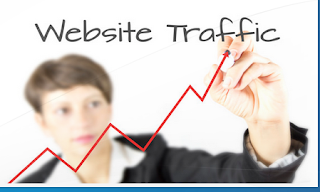 There are, however, several places that can provide you with well-targeted traffic for pennies a visitor, e.g Yahoo Ad and Search Marketing and Google Adwords, Chikita, Bidvertiser e.t.c. 8. Learn more about sales and promotion. After all, if you're selling on the web, it's not how many hits you get, it's how many sales you make. If your wonderful widget website doesn't do a good job of selling widgets, then all the search engine traffic in the world isn't going to do you much good and it's much easier to double your site's effectiveness than it is to double its traffic (even better, of course, is to do both!). Next, since knowing who is visiting your site and how they got there is very useful, you should consider tracking your visitors. If you have access to your web server logs, consider using the free Analog web-analysis software (available for Windows, Mac, Linux, and more). If not, consider a web-based service like Web-Stat, Scrub the web or Site Build it. 9. Do your research before hiring anyone to do promotion for you. While my sites and blog is aimed at do it yourself, some people may be more comfortable hiring a consultant to do site tweaking and search engine Optimization Job. Even so, it's important to understand the basics before doing so; there are a lot of snake-oil salesmen out there, and a little knowledge is an effective "bull$h1t detector". For example, if someone promises to put you on page 1 of the search engines in 2 days, run away as fast as you can! Getting on page 1 for relevant keywords takes hard work and patience, and is not something that any reputable consultant will ever promise (a common scam is promising you page 1 results and delivering them for irrelevant or hyper-specific phrases that will never generate any meaningful traffic). 10. Go get some links! An important component of your search engine ranking is determined by what sites link to you; when an important site gives you a link, it's like a vote of confidence for your site.